$2.99 per week to just count my steps without ads is way too much. Nice but would like to see a different goal type than just steps. I also enjoy bike riding and swimming but there is no way to count these activities toward a goal. Please remove these pop-up ads as they are unnecessary!!! I used to love this app and now they’ve ruined it with a ridiculous amount of ads and as others have said, nothing this app offers is worth the price without ads. Don’t waste your time on this one- keep looking. I’ve been using Stepz for a few years and loved, but not anymore. The new format is awful. Data is not presented in a helpful manner as it was before the recent changes. I understand the need for a free app to include ads, but they now pop up constantly and closing them requires numerous taps on the X. It’s quite obvious the app owners have made the free app worse and annoying to get users to pay up for the premium version, but that costs a ridiculous $3 per WEEK. I won’t pay $150+ per year just to track my steps. Unless I see some positive changes to the app soon I’ll be looking for another step counting app. I’ve used this app for years, now there’s a ton of full page ads that won’t click away. I would be happy to pay a minimal one time fee for no ads, but $3 a week is crazy and incredibly unkind to users. I’m gone for good! I really did enjoy this app for a long time, but the recent update is an astounding step backwards. I realize monetization is important but the ads interrupt at the most unopportune time, and it seems the new ‘features’ slow down the accessibility. I’m pretty busy during the day, and even during workout, and it seems like the quick check of daily steps/averages and other analytics is now much slower. And as other reviewers have said, there really isn’t enough inventive to pay up to premium at what is more than $150 per year. I would maybe pay $10 for a revert to the old version! The latest update is awful. All the ads make this app unusable. Sorry to say I will be looking for a new app. I usually don't go out of my way to leave reviews, but tgis is getting quite ridiculous. Every single time I go to open the app, it doesn't even open and it force closes AT LEAST three times before I can even open it. Been using this app for years. It’s been good. New version not so much. Ads are annoying. I know they’ve got to pay for it but these ads really diminish the product. 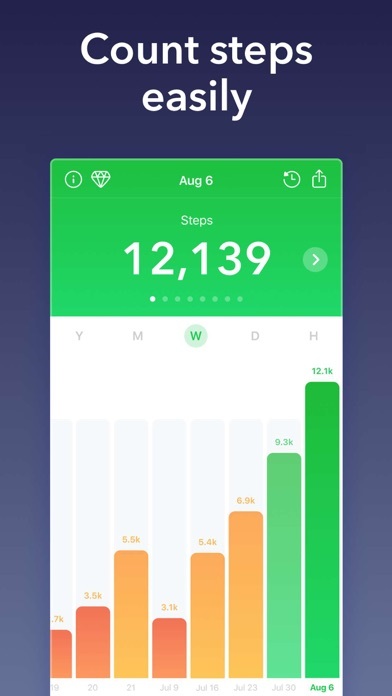 Used to be my favorite step tracking app but the ads are out of control and the subscription charge is insane. Disappointed with the updated Stepz app. Key is no reference for help. And, too, why does info not stay once I update? I had this app for a couple times years it was free and I was happy with it . But the developer first started putting really obtrusive ads that popped up every time you tried to use it and made it very difficult to use and annoying and now they have the B%LL$ to want to charge $2.99 (3.24) per week to use it . Over $150 per year ! Not worth it for a basic mediocre app ! I loved the old version. I keep my phone with me and look at it throughout the day. In this new version the update dropped ALL the steps from Wednesday, April 12, breaking a 10-month streak for me. 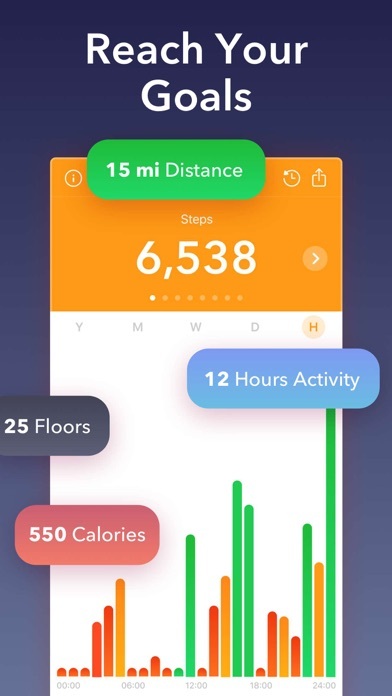 The steps are all there perfect in the health app. I’ve tried reimporting history twice to no avail. Even weirder, the small number on the icon is one off from the step counter in the app—every time. Hopefully they get it fixed. Bummer the did no QC before releasing it to the public. Was a great app until the most recent update put an ad in front of your whole every 30 seconds. Deleted and replaced. I updated the app today. Disappointed. More ads and my 17,000 step count from yesterday now shows 0. Liked the old version of the app much better. 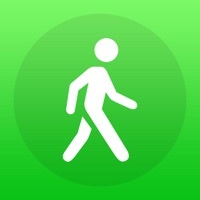 This used to be a great, basic app that tracked my steps. But since an update (maybe a month ago), it now takes 5-10 minutes (no joke) to load ... on my iPhone 8+ that has no issues loading other apps. It’s the ads. With the update came MUCH more aggressive ads that take over the whole screen. I’ve switched over to Pedometer now, and have been very satisfied with it. Sorry to lose this app after using it for so long; don’t know what was up with that last update and their decision to let advertising encumber functionality. I’ve used the free version for a couple of years and was happy with it. Bought a new phone, it gave me one week and then wouldn’t work unless I agreed to $3/wk. that’s over$150/year, forever. NO WAY. I’m outta here. I’m unimpressed with the revised app I liked the trailing 7 day average feature. It’s gone. The new app is harder to navigate and I miss some features that were eliminated. New version update changed data - ‘yesterday’ now 0, for instance. Health app shows otherwise. Reimporting data did not fix — verified that permission is set — but maybe that is because the last seven days are not included in the update. However, if that is true there is no longer a warning during import. Don’t like the interface changes as of now but will probably get used to them in time. April 2019 Latest update. Latest update is ugly. Latest update is Not intuitive. Latest update makes this app awkward and unusable. Too bad, as of last autumn it was still one of the most accurate. Somewhere in the App Store there is Another pedometer of equal accuracy. It will take time but I will find a replacement. (Never, ever pay for this type of app!) October 2018 I have had this app for a year next month. I tried several pedometer apps and Stepz was the most accurate in November 2017. It was a 5-Star app, the ads were small non-intrusive banner ads. Now, October 2018 they have a ad which pops up and fills the entire screen. Ugh, how greedy can you be? Developers: Full Screen Ad = I won’t be seeing Any of your ads. I’ve had this app for several years and loved it BUT now all the changes and the ad additions is prompting me to delete it and find another step app. 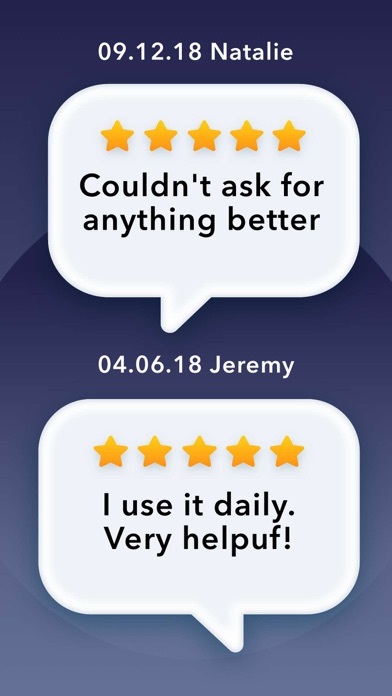 Why do you always thing “upgrading” an app will improve it. Old version was great. Ads on new version are incredibly disruptive and you are smoking something if you think this app is worth 3 bucks a week. The app is also buggy. Red after target is hit instead of green and step counts double when you cross time zones. Not worth it any more. Looking for another option. This ought to be a case study on how to screw up a good app. Is there no free version available now!!!!??? Crap, 5 years of Step Data gone. Thank you so much. What happened to the free version? The current version is asking for more money than it’s worth. Whose willing to pay $150 a year for an app they’ve been using for free? No one asked for the extra features it worked fine when it was free. The strategy seems to be to bombard you with ads as to make the free version so utterly useless you’ll have to pay for the upgraded version. No thanks. Give me added value, and I’ll pay for that. 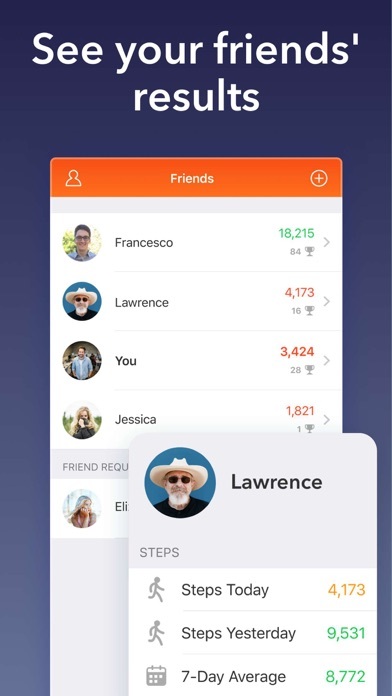 I’ve used Stepz for several years, but not only is the update annoying, the new layout is more confusing, and not as useful. I’ll be searching for a new app, unfortunately. I have a hard sedentary job with long hours and I am also the age where I shouldn't stay stuck behind a computer screen 12-15 hours a day. This app forces me to break the bad habit of being chair bound. I have 12000 step avg for 21 months now! 😀 Sometimes all you need is a push. Update 4/2019: From 5 stars to 1! So absurd to charge weekly with no other option. I will use the free Apple Health app instead. I used to use this app daily. But the latest update has completely crippled what was once a simple and effective application I will now be searching for an alternative step tracker. Does not count my step correctly. The new update took a 12,000 step day and now it reads 17,000 after up date. And a 15,000 step day to a 27,000steps. I have used Stepz it for 2+ maybe 3 years now. My data is all messed up now. My old device has the old app on it still so I have to use it for info. Why take away option to set step length. And no more weekly average. Not sure what the update did seem to have taken more then it helped the app. I'll start looking for better options. Had the app on my iPhone for several years and loved it! When I downloaded the update, it became unusable. Had to go to another app. It’s a shame because I loved it and recommended it to several others! Lost two days totals when updated. Old graphics much better and easier to keep up with. My phone just automatically downloaded and installed the 3.1.4 update, which really should have been dubbed 3.2 or even 4.0 given the number of changes to the app Much to my disgust, step count data preceding the update are thrashed. All daily counts have been shifted back in time by 2 days. 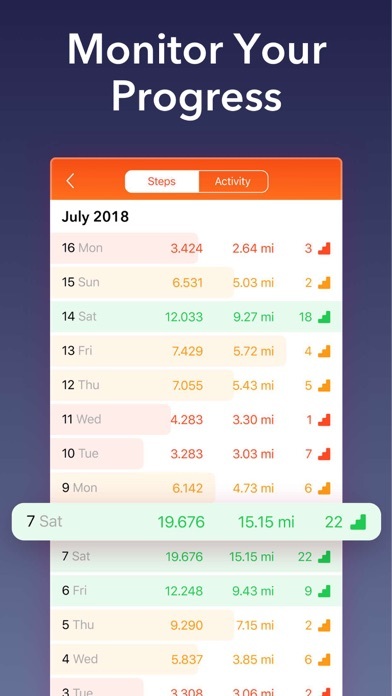 So for example, the 15400 steps I posted yesterday are instead shown on the dashboard for 3 days ago, the 10300 steps from 2 days ago are displayed as being 4 days ago, etc. I have used and quit using other step counting apps because of data corruption. Hate to quit Stepz as I’ve been using it for quite some time, but it looks like its time for me to check out the competition again. Edited to add: 3 weeks later and other troubles arise. 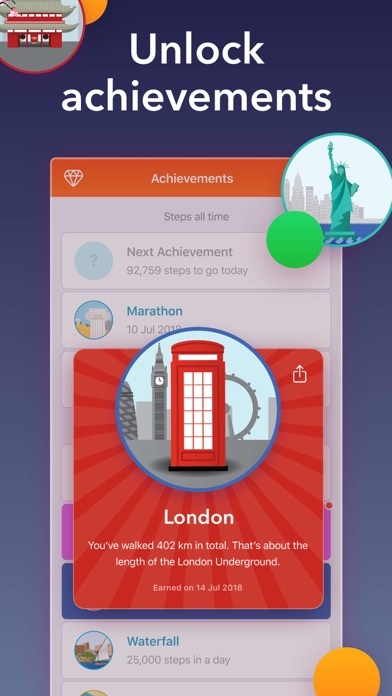 The app consistently shows daily step totals a 100 to 200 paces higher than the other pedometer apps I have been testing and also the Apple Health app. Also, this week the app stopped changing the day’s step count to green once the goal achieved, but leaves it red. I really don’t want to see an add. Seriously!! Can I opt out of the ads? I liked your app until the recent update. Now way too many ads, and not as much information as before. You didn’t really need to “improve” it. I’m not paying for something just to get rid of the ads, I’ll just get rid of your app. When changing time zones, steps double, causing inaccuracies.